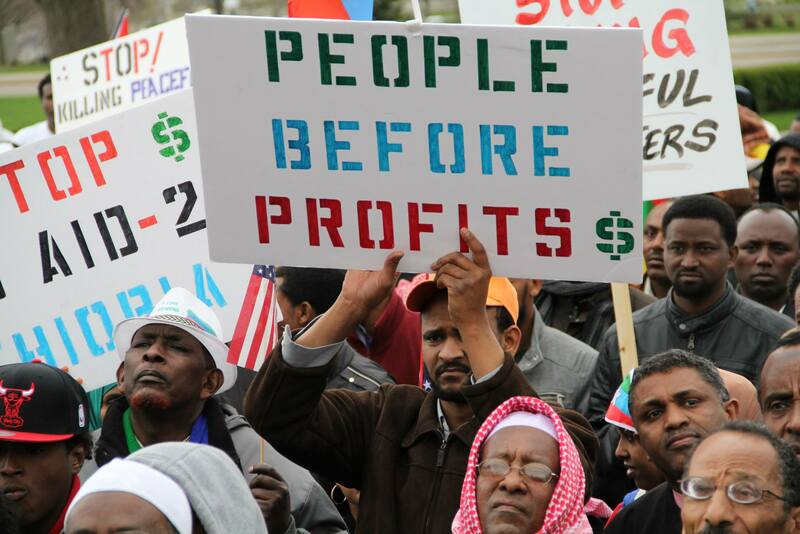 Minneapolis, MN – Unnerved by the gushing winds of change in North Africa and throughout the Middle East, the Ethiopian regime is frantically and desperately attempting to divert the people’s attention. At home front, a recent wave of imprisonment and an all out intimidation campaign is in full effect, especially in the Oromia region. 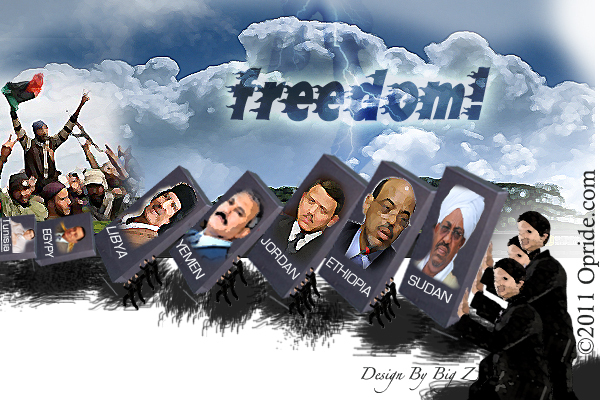 Ethiopia’s ruling party, headed by former Marxist guerilla leader, Meles Zenawi has been in power since 1991. To preemptively avert the now eminent Ethiopia’s Jasmine revolution, the regime is once again touting the possibility of water war with Egypt. To divert a public opinion from pressing domestic issues such as massive youth unemployment and inflation, Meles’ regime has also been floating a possibility of war with Eritrea. 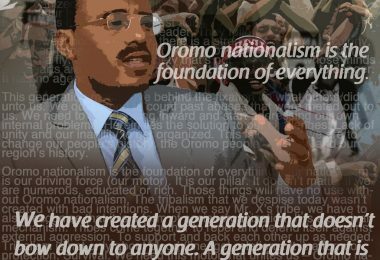 Desperate to breathe life into its suffocating regime amidst the country’s deteriorating political and economic situation, Meles has now turned to the diaspora. 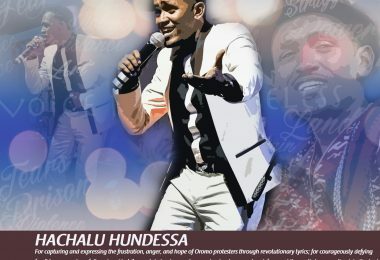 Sources tell OPride.com that a delegation of senior EPRDF officials, including the leaders of the Oromo Peoples Democratic Organization (OPDO), has been dispatched to North America and Europe. Fifty two, including four from OPDO, cadres are expected to be in the U.S within days. The preliminary itinerary shows that Alamayo Atomsa will be in Seattle (purportedly OPDO’s stronghold), Juneydi Sado in Minneapolis, Sufiyan Ahmed in Los Angles and Diribe (speaker of the Oromia house) in Atlanta. On behalf of all concerned citizens of the United States and Ethiopian communities throughout the state of Minnesota, we express our deep and grave concerns over the current human rights abuses perpetrated by members of the Ethiopian regime, whose federal officials are coming to Minnesota on the 10th of April to host an event. The Oromo Community, Ogaden American Community, Gambella Community, and Ethiopian Community are holding hands to stand against the tyrant of Ethiopia. We ask all to come out and be voice for the voiceless. The meeting is said to be open to public. But OPride.com has obtained a list of 62 names to whom an invitation was sent. For more information about the peaceful demonstration please see this flyer : Waamicha Hiriiraa. As we have previously reported, the government of Ethiopia through an outreach outfit called “the Diaspora Affairs” sends annual delegations to North America and Europe. In recent years, wherever the delegation went, there was a fierce resistance. In cities populated by Oromo and Ethiopian dissidents and activists, the government delegation was almost always forced to cancel these public meetings. In recent years, to avoid public ridicule and protest, the Diaspora Affairs have chosen not to disclose information about meeting venues in advance. This tactic has also been proven to be a failure among close-knit communities like that of Minnesota. Last time the OPDO delegation visited Minnesota in 2007, Muktar Kedir and his colleagues were humiliated and beaten by Oromo youth in Minnesota. On the occasion, the OPDO delegation made an embarrassing run for its rooms, leaving behind among other things a digital camera and many other documents, including a dossier of EPRDF/OPDO agents and organizers in North America. Rewind to 9/11, Where Were You?